The memorable characters of The Swan Princess series are back for an all-new adventure! Shortly after the Royal Family adopts a young girl named Alise, she is taken away into the forest. Princess Odette, Derek and their woodland friends, Jean-Bob the Frog and Speed the Turtle, must work together to find a way to bring her home to the castle. With friendship, teamwork, original songs and plenty of laughs, The Swan Princess: A Royal Famil..
Princess Odette, Prince Derek and their trusted woodland friends reunite in this all-new adventure for their first Christmas celebration together! As the kingdom prepares for a festive holiday, the villainous Rothbart plots to destroy Christmas. Will the castle friends be able to stop Rothbart and save the day? Told in beautiful CGI animation for the very first time and featuring music by Anna Graceman from TV’s "America’s Got Talent", ..
Zelda, an evil sorceress, plans to wreak havoc on the peaceful land of Swan Lake by stealing the Forbidden Arts - a magical treasure that gives its keeper unlimited power. 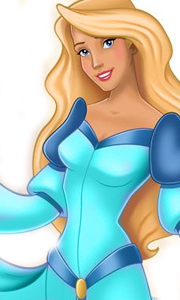 As part of her evil plan, Zelda kidnaps Odette, the Swan Princess, and demands that Prince Derek turn over the Forbidden Arts in exchange for her safety. The Prince then must face Zelda in an exciting showdown to rescue the Swan Princess!.. Own The Swan Princess - Mystery Of The Enchanted Kingdom DVD from Deff, DVD, Blu-Ray & 4K Video Specialists - Free UK Delivery.. The Swan Princess: Based on the classic fairy tale Swan Princess, this magical animated story of Odette, a princess who is transformed into a swan by an evil sorcerer's spell. Filled with memorable creatures and beautiful music. The Swan Princess features the vocal talents of Jack Palance, John Cleese, Steven Wright and Sandy Duncan.The Swan Princess II: The Secret Of The Castle: When a villain kidnaps the queen in is quest to obtain ..
Own The Swan Princess - The Princess Tomorrow Pirate Today DVD from Deff, DVD, Blu-Ray & 4K Video Specialists - Free UK Delivery..
From the director of The Fox And The Hound comes The Swan Princess, a magical, musical animated adventure based on the classic fairy tale Swan Lake that captured the hearts of audiences around the world! The winner of the Film Advisory Board Award of Excellence and the Parents' Choice Award, it's the heartwarming story of the beautiful princess Odette, who is transformed into a swan by an evil sorcerer's spell. Held captive at an enchan..